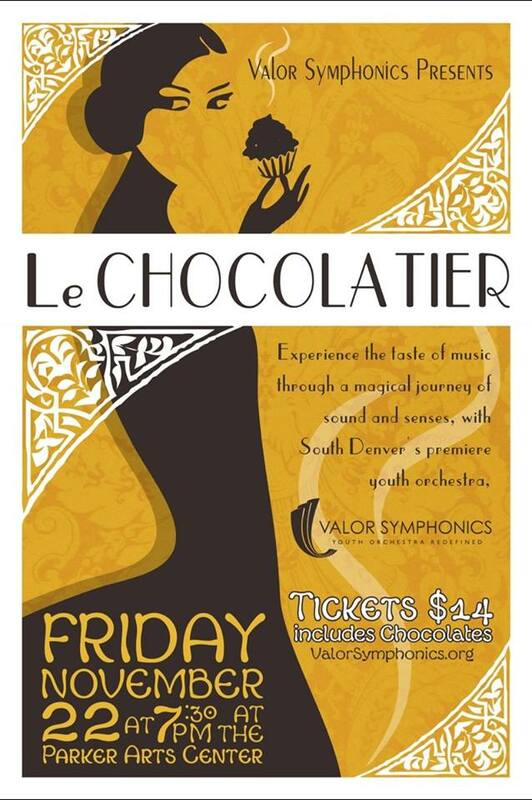 Valor Symphonics concert featuring Philip Ficsor and a Symphony dedicated to Chocolate! I’ll be playing on this program next week. It promises to be fun with a symphony dedicated to chocolate: mint chocolate, dark chocolate, coffee chocolate and caramel chocolate. Yum! This entry was posted in Events and tagged Colorado, Events, Gardel Tango, Le Chocolatier, South Denver, Valor Symphonics. Bookmark the permalink.